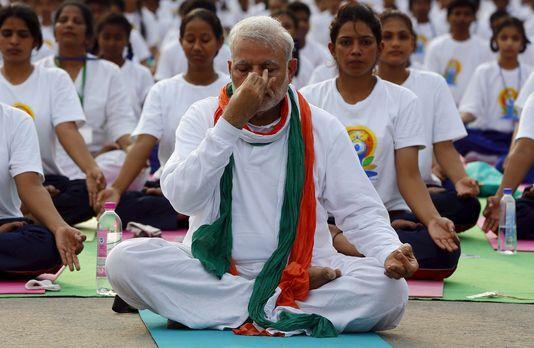 Indian Prime Minister Narendra Modi himself has engaged in public yoga exercises, on the occasion of the first International Day of yoga, which brought together tens of thousands of people in New Delhi on Sunday, June 21 . 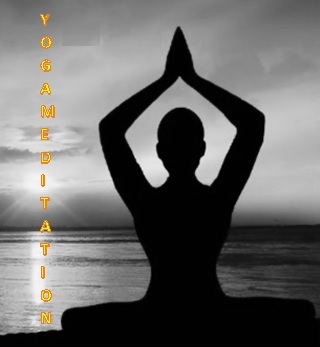 Before taking the head of a demonstration that brought together more than 35 000 people, which wants to strengthen the place of yoga as a central element of Indian culture Indian Prime Minister Narendra Modi said: "yoga is more than exercise . We do not just celebrate a day. We train the mind to open a new era of peace. " Dressed all in white, except for a scarf with the colors of the national flag, it welcomed the adoption by the UN of its idea of ​​an international day of yoga. Then he descended from the stage, removed his glasses, and took part in the giant sessions, on a carpet, while the crowd supposed that it will be a speech. Similar events, although smaller in scale, were planned in other countries, particularly in Britain on the banks of the Thames. The head of the Indian executive - a strict vegetarian practicing yoga daily - has made this a highlight International Day of the political program of his Hindu nationalist government, 13 months after taking office .